BBCanada.com | St. Jacobs -- At the Mill in the Village of St. Jacobs! The Mill in the Village of St. Jacobs. What kid hasn’t indulged in the eager exploration of shadowy attics and basements filled with long forgotten treasures? Thank goodness, many of us never grow out of our fascination with these wonderfully mysterious places – explaining why The Mill is a ‘must see’ for many visitors to the Village of St. Jacobs! Built in 1852, The Mill is now home to captivating specialty shops and crafters’ studios. But delve a little further into the less traveled passageways of the old structure, and you will encounter some truly extraordinary exhibits. Journey up to the attic on the fourth floor for a peek at the Model Train Panorama. 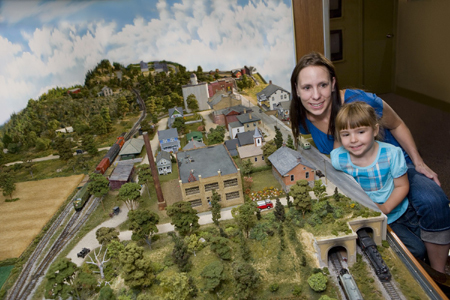 Watch an “HO” scale model train wind its way through a miniature depiction of Waterloo County ’s rural past. There are various local scenes including a farm, barn raising, a Mennonite Meeting House and the Village of St. Jacobs ! Railway memorabilia and a collection of “0” scale trains are also part of this marvelous display. 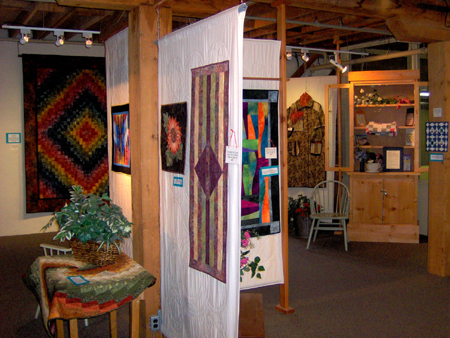 One flight down on the third floor, the St. Jacobs Quilt Gallery showcases the quilting excellence of individual artists, groups and guilds. Mark the last week of May on your calendar for the annual ‘Quilt & Fibre Art Festival, Waterloo Region and Beyond’ when the art of quilting is celebrated with over 17 events in 9 communities! Next door to the Quilt Gallery is The Maple Syrup Museum . 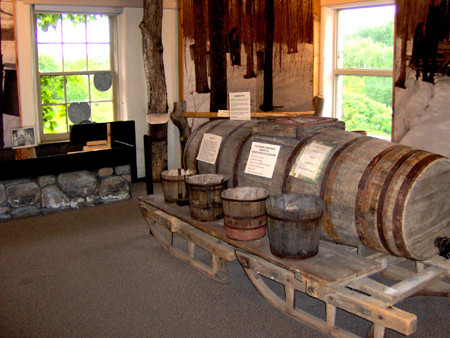 Learn about the history of maple syrup production while you browse through the objects, photographs and displays that describe the maple syrup industry of this area. Note the commemorative collection of landscape paintings and block prints by artist Woldemar Neufeld (1909-2002) hanging in The Mill for your enjoyment. The view of the Conestoga River from the third floor windows is lovely and worth pausing for a moment to appreciate. Follow the staircase to the basement and be prepared for a journey back in time. You might not realize that the Canadian hardware giant ‘Home Hardware’ originated in the Village of St. Jacobs ! 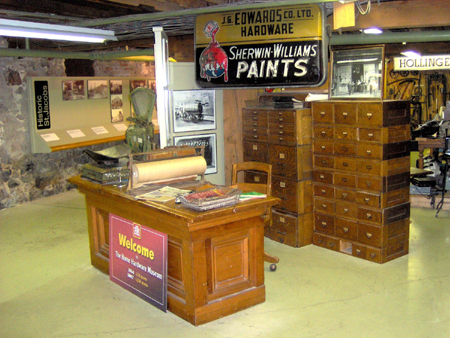 The History Of Home Hardware is an amazing compilation of the company’s memorabilia. Along the west wall of the basement is a pictorial display that describes the early settlement of ‘Jakobstettel’ which later became known as St. Jacobs. The History of Home Hardware! 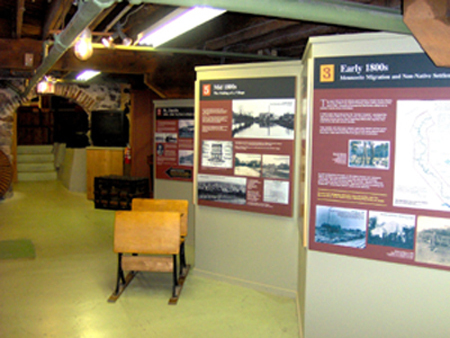 All exhibits at The Mill are open daily for your pleasure and admission is by donation. Beyond The Mill, the Village of St. Jacobs has many fine shops and boutiques with fashions, gifts, antiques, artisans and more. Are you intrigued by the Mennonite heritage of Waterloo Region? ‘The Mennonite Story’ at the Visitor Centre offers an informative DVD presentation as well as photos, objects and displays that illustrate the history, culture and faith of the Mennonites yesterday and today. 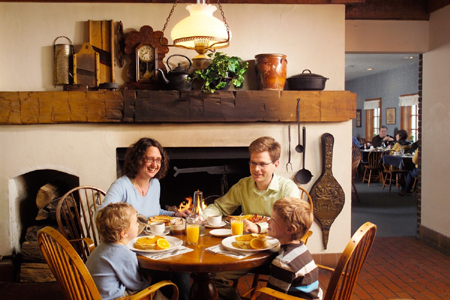 Satisfy your craving for a taste of this Region’s unique flavours at Stone Crock Restaurant, Vidalia’s Grill and Benjamin’s Restaurant & Inn. 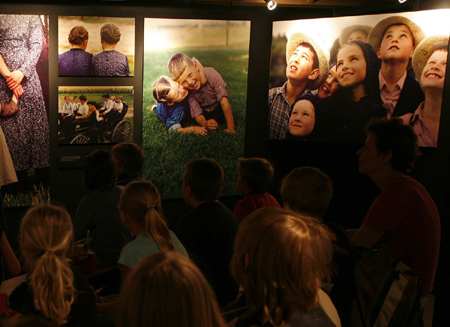 'The Mennonite Story' at the Visitor Center! 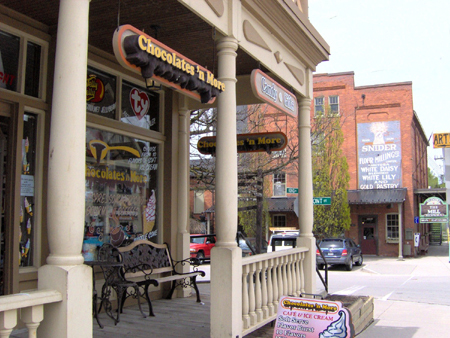 Minutes south of the Village is the Market District with its well-known attractions. 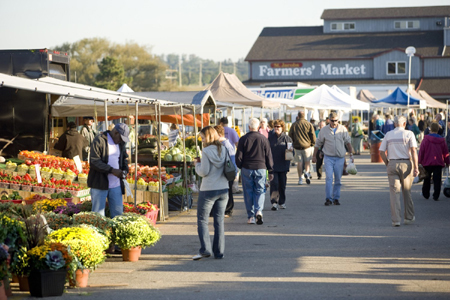 St. Jacobs Farmers’ Market & Flea Market is reputed to be Canada ’s largest farmers market with over 500 vendors (Thurs. & Sat. year round; Tues. summer market until Aug. 31/10). If brand name shopping is your pleasure, find it at The Outlets. Antique lovers will be thrilled by treasures galore at Market Road Antiques. Experience live professional theatre at St. Jacobs Country Playhouse. All are just a short walk from each other in the Market District!